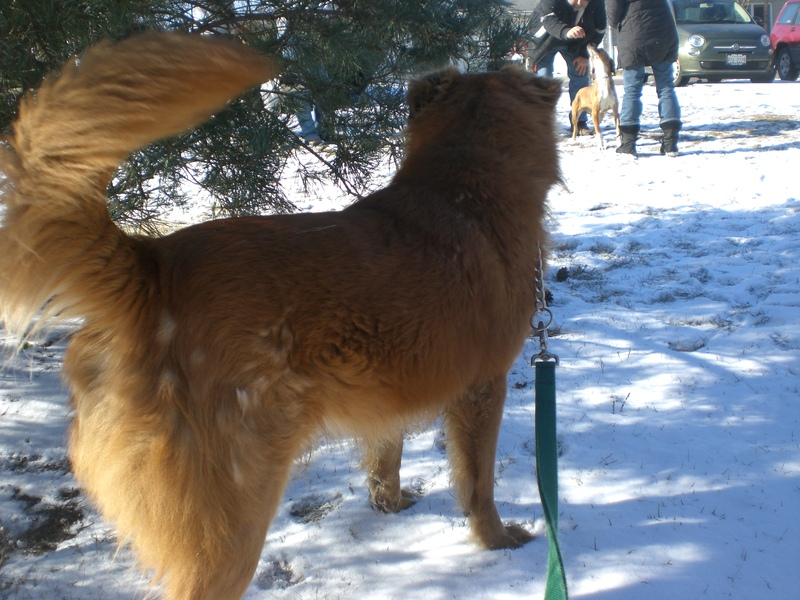 Brutus the three-year-old Chow Chow/Golden Retriever mix is so fluffy and so handsome! He will definitely catch your eye as you walk through the shelter on your next visit. Chows are known for their blue tongues, but since Brutus is a mix he just has a big blue spot in the middle of his otherwise-pink tongue. Super cute! Brutus is a very playful pooch with a good amount of energy. He likes to run and jump and give doggy hugs. Although I didn’t get a chance to find out, I would guess that he’d be excellent at playing fetch, with that Retriever mixed in. Brutus also knows some basic commands like “Sit” and is eager to learn more. 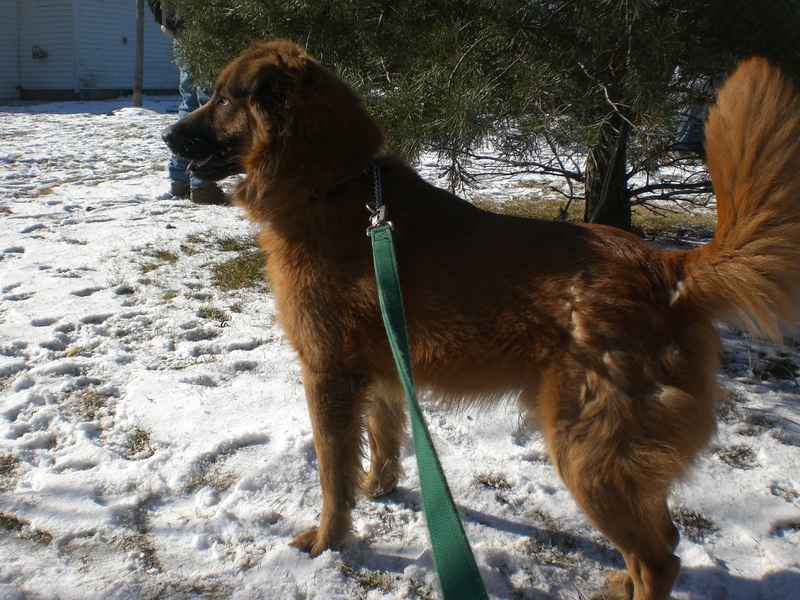 If you’re looking for a fluffy dog to keep you warm for many winters to come, stop by and meet Brutus! 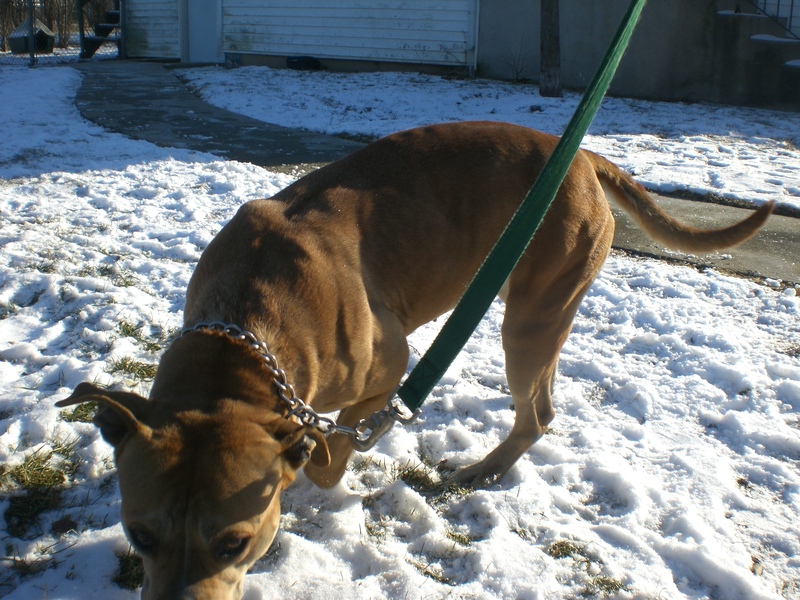 Diamond is a very strong girl, especially when she first gets out of her kennel and is ready to stretch her legs. You can’t hold that against her, though–wouldn’t you be excited to run and play too? Whenever I tried to kneel down to her level to get a picture, she would come bounding over to see what was going on (hence her nose not being visible in the picture above). Diamond is ready and waiting for her forever family. Maybe it’s yours! 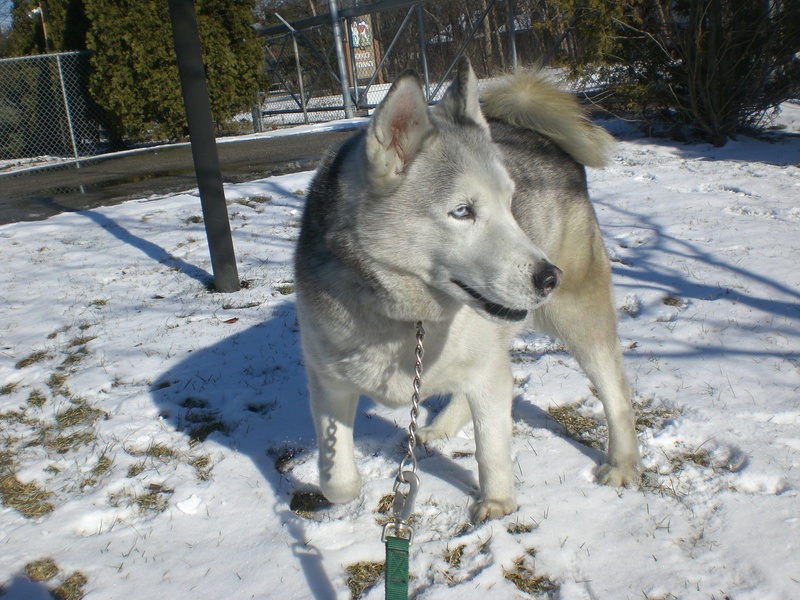 If you’ve been to Orphans of the Storm® before, then you definitely know Akiva, the beautiful seven-year-old Husky mix. This was her kind of weather, so I thought it would be the perfect day to take her out again. In fact, if she could talk, I bet she would’ve said, “You call this snow? Please. 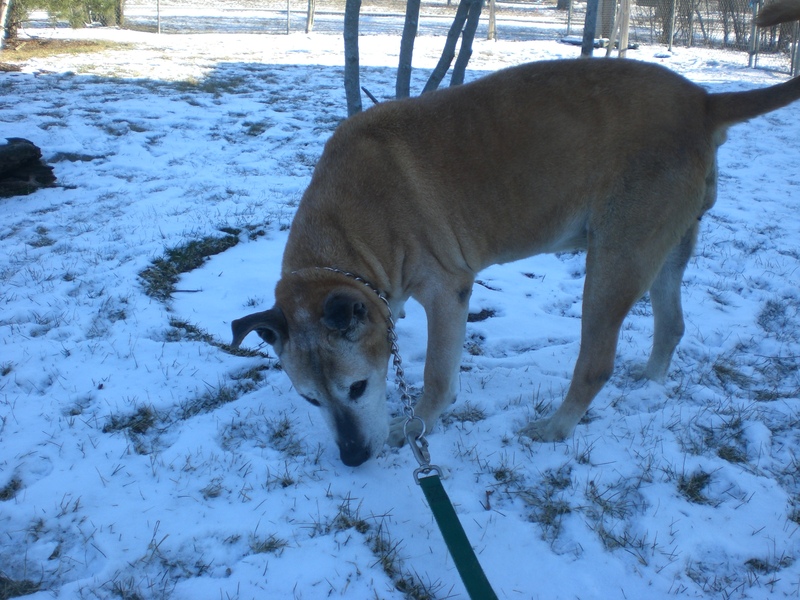 This is just a dusting!” Akiva is a gentle dog who walks wonderfully on a leash. She still has a playful side, though–I would throw a snowball in the air above her and she would jump up and try to catch it. It usually broke apart in midair, though, and showered down on her fluffy fur. She loved it. She would love even more to be adopted by a loving family! You can read more about my first visit with Akiva here. Another gentle old friend I took out this week is Ebbie the ten-year-old Shepherd mix. Although I’ve written about Ebbie before (from my first visit to the shelter! ), this was actually my first time walking her. Ebbie is Orphans of the Storm®’s featured pet because it makes no sense why a dog as sweet and gentle as Ebbie would still be at the shelter after all these years. She doesn’t need too much exercise, just a nice walk around the neighborhood to keep her joints moving. The rest of the time, she will happily curl up next to you. If you’re looking to give an older dog a home, please consider Ebbie! Kennelmates Bandit and Lilly were both willing to brave the cold and come for a walk with me this time, too! For more information on each of these events, please visit the Facebook page. 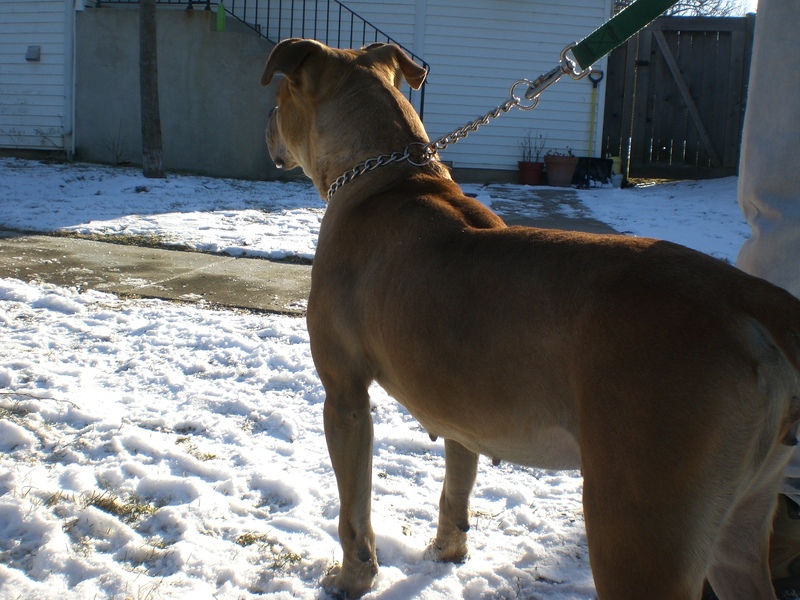 Posted by Meet the Pooches on January 31, 2013 in Dog Profiles and tagged adoption, animal shelter, Chicago, Chow Chow, dogs, Golden Retriever, Husky, Orphans of the Storm, pets, Pit Bull Terrier, Shepherd.